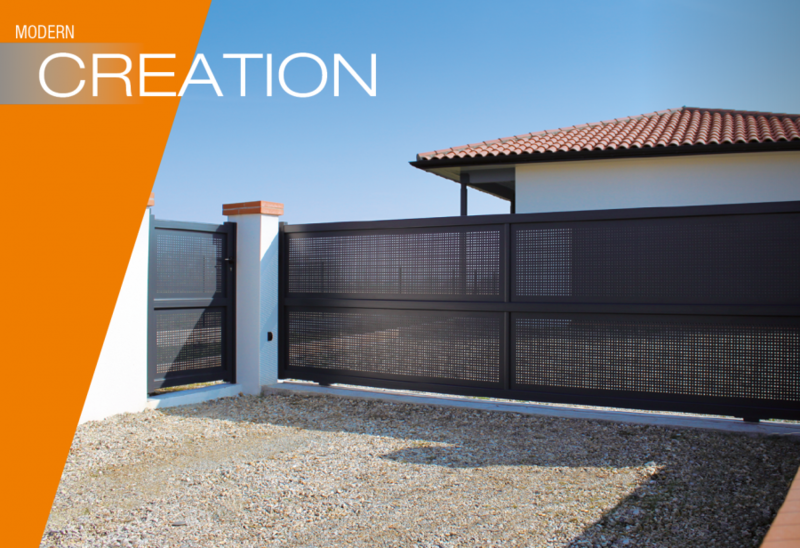 Find out more about our hinged or sliding Modern gates and choose the one that best matches your outdoor space from five stylish lines: Creation, Intuition, Arpeggio, Accord and Melody. In order to satisfy our customers’ expectations and needs, we offer a wide choice of recognizable infills, patterns and colours. 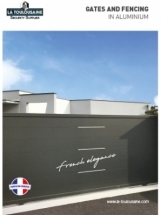 We can even customize a gate using your own high definition photograph or logo, subject to feasibility. 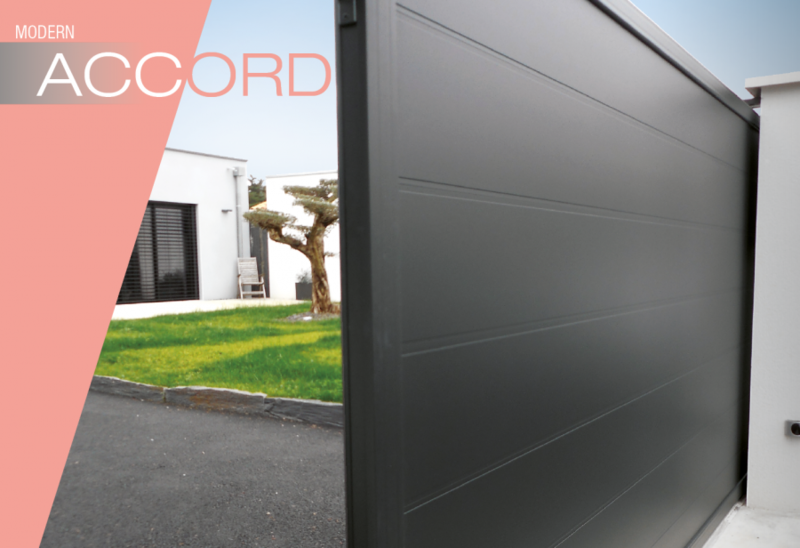 Distinctly modern, these grooves 250 mm apart bring a sleek design to your outdoor space. Openwork, plain or customised infill, these resolutely modern designs give strength and character to your outdoor spaces. 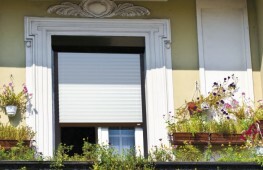 This trendsetting line offers you 23 original patterns in perforated aluminium sheets on a straight frame. With our system of interchangeable metal sheet panels, you can let your imagination run wild and personalise your style. This line comes in a host of possible combinations. 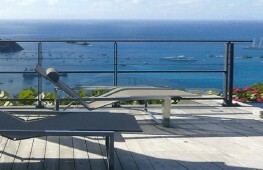 Embellish your outdoor space elegantly with the perfect match. Play with materials and combine wood and aluminium on a straight frame. Our gates are submitted to a powder coating process just after assembly on our automated line, providing a guarantee of lasting quality. Total mastery of treatment and thermal powder coating processes ensures consistency and provides great diversity of colour and texture. Confident in the quality we provide, our powder coating finishes benefit from a 10 year warranty (see our warranties). 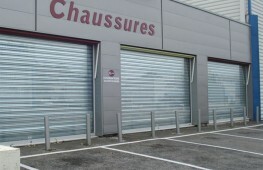 La Toulousaine uses AkzoNobel Powder Coatings products, the world leader in powder coating finishes. 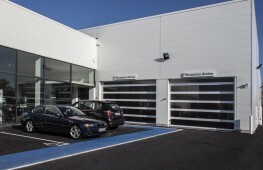 All of the selected powder coating finishes comply with the Qualicoat Class 2, GSB and AAMA 2604 standards and benefit from more than 30 years of experience. The original Interpon collections adorn prestigious monuments around the world, such as the Shard in London and the Tour First skyscraper in Paris. Choose from 18 shades: matt finish, slightly textured. Choose from 15 shades: matt finish, carefully sandblasted and metallized. Choose from 10 shades: matt finish, slightly textured. 60 colours to choose from. Smooth, matte or glossy finish. 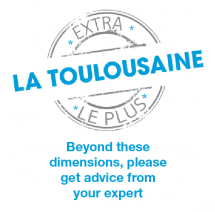 Designed to last, LA TOULOUSAINE solutions use the MECA'CLAV® technology, enhancing the perfect rigidity of the frame without altering the product design. 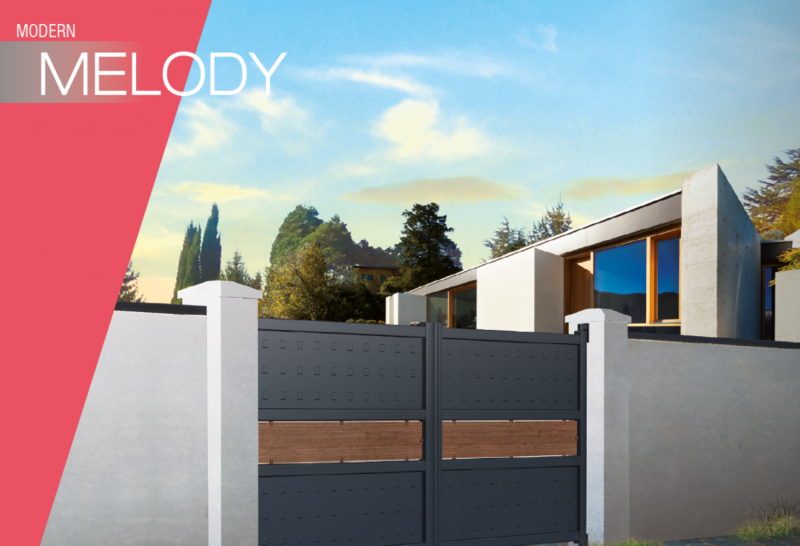 Based on multi-chamber profiles, the Méca'Clav® system gives our gates both exceptional resistance and the most elegant lines on the market. 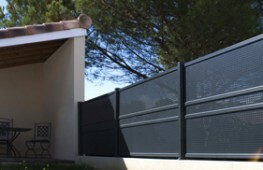 Operate your gate directly from inside your vehicle or your house, the very definition of comfort. 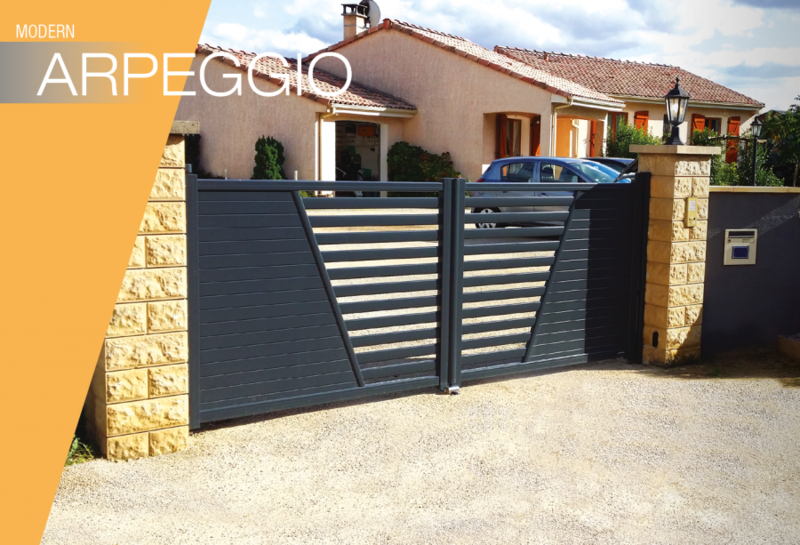 The sliding gate operation offers pedestrians, cyclists and motorists an access perfectly adapted to their everyday life. 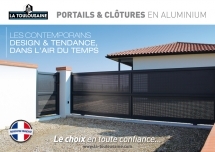 Through years of research and development, La Toulousaine has been able to industrialise the traditional craftsmanship, making each gate unique. You create, we build. Our exclusive technology allows you to turn the most imaginative ideas into reality. 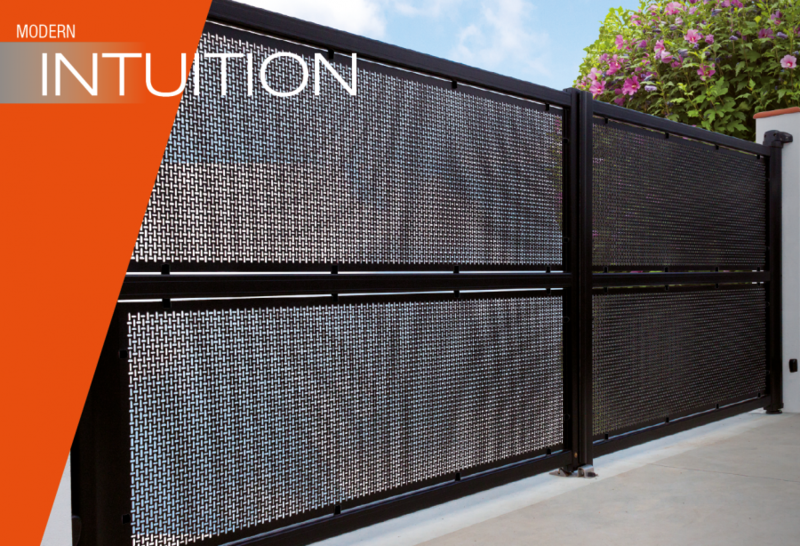 If you are looking to make a statement, or express a passion, you can use your gate as a means of communication. Our Intuition, Arpeggio and Melody lines enable you to combine various shades. 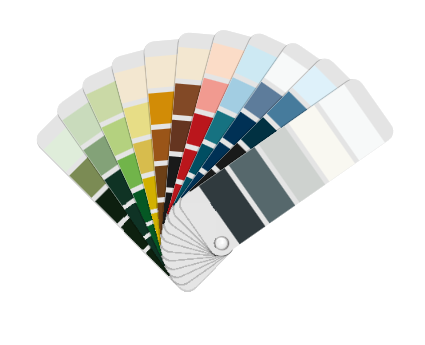 Whether for a subtle difference or a stark contrast, feel free to choose our two-tone option. Wood is back. Its warmth is second to none and it blends beautifully with aluminium. A favourite of architectural aficionados, the combination of wood and aluminium is always a safe bet.